Caravanning is a great way to see Australia. You can just hitch it to your vehicle and go. It gives you more choice of places to stay, and makes it easier because you’re not having to work out accommodation at a hotel etc. Anyway, I’m sure you know all this. The only problem owning a caravan is in between those adventures. When you’re at home. Your caravan is exposed outside and getting slowly destroyed by the weather. We have heard the story many times. It’s annoying and costly. But the solution is simple. You just need to get it out of the weather and a carport kit is the quickest and easiest way to do this. Like cars, the tops of caravans wear the quickest. Getting a roof over it means that it’s protected from the rain, sun, hail as well as falling debris. 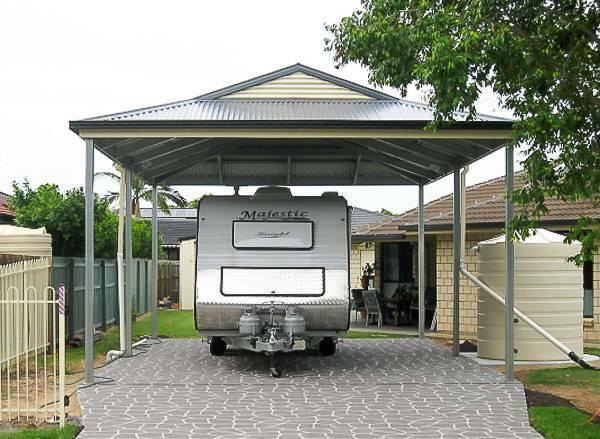 Carport kits for Caravans need to be high enough and sometimes long enough to fit a larger than normal vehicle in. This requires a bit more design and engineering work. We can supply you with different heights and sizes to suit. For larger caravans the height is usually above 3m in clearance. The length can often be longer than the standard 6m offered by other carports for sale. Go for strong posts – the posts are primarily there to support the carport, but what if you accidently hit one with the caravan? For added security make sure the posts are more than strong enough. Make sure there is more than just enough clearance. At some stage the tyres will need changing, or the suspension might be tweaked, or you might fit a rooftop airconditioning unit. Any of these could increase the height of the caravan slightly, so cover yourself by making the carport a bit higher than needed. Another thing to think about is possible future proofing. Many people have said that they might get a bigger caravan down the track. 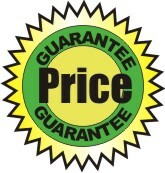 If this sounds like you, consider buying a larger carport the first time. This will make it easier when you do get that bigger van. We hope this helps. If you need help in finding the right carport for your caravan (or motorhome), give us a call, or send us an email. We’re always happy to assist.